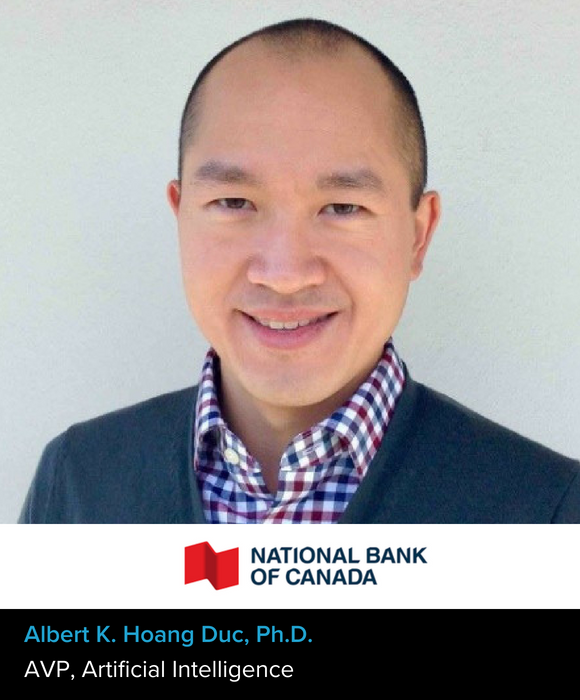 Insights | The Top 100 Innovators in Data and Analytics - Albert K. Hoang Duc, Ph.D.
Albert K. Hoang Duc, Ph.D. I love data analytics because it allows to make informed decisions based on observations and to stop guessing. Data analytics can have real influence on the decisions a business takes and the subsequent outcomes. My education (Ph.D. in Machine Learning) naturally led me to a career in Data Science. I have held various positions (from Data Scientist to Director, Advanced Analytics) at a consulting firm and more recently at Manulife. I'm currently an Associate Vice-President, Artificial Intelligence at National Bank of Canada, where I lead the strategic planning and deployment of AI solutions across the entire Operations Division at the bank. Eugene Wen, VP, Group Advanced Analytics was my previous manager at Manulife. His experience and advice helped me to fulfill my potential in the analytics space. He gave me the opportunity to lead various strategic initiatives at Manulife which results were transformational for the company. I'm currently working on improving the mortgage application process using Artificial Intelligence (AI). The way people apply for mortgages has hardly changed over the last few decades and applying for one often takes weeks. At National Bank of Canada, I'm looking at ways to simplify the process, reducing the amount of paper used and also to get to a decision much faster. The results are reduced operational cost and risk, as the mortgage application life cycle can be completed with fewer individuals performing fewer steps. Artificial intelligence will disrupt the way companies operate today. The need to develop change management plans to address the transformation of business processes and the employee resource allocation should not be understated. I am confident that data analytics will be used for social good (i.e. removing social bias). Get your hands dirty early on. Practice your data science skills on some free online datasets. Real datasets are bigger, more messy, more complex and harder to derive value from.